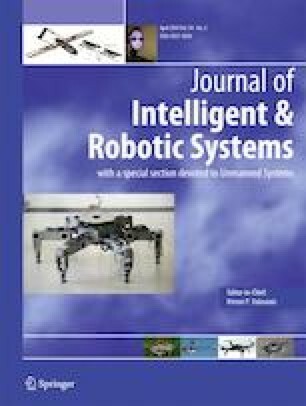 This paper proposes an algorithm to guide a formation of mobile robots, subject to communication constraints, from an arbitrary position to the location of the source of a physical signal in a planar environment. The information on the signal is only based on noisy measurements of its strength collected during the mission and the signal is considered to be weak and indistinguishable from the noise in a large portion of the environment. The goal of the team is thus to search for a reliable signal and finally converge to the source location. An accurate estimation of the signal gradient is obtained by fusing the data gathered by the robots while moving in a circular formation. The algorithm proposed to steer the formation, called Gradient-biased Correlated Random Walk (GCRW), exploits the gradient estimation to bias a correlated random walk, which ensures an efficient non-oriented search motion when far from the source. The resulting strategy is so able to obtain a suitable trade-off between exploration and exploitation. Results obtained in simulated experiments, including comparisons with possible alternatives, are presented to analyze and evaluate the performance of the proposed approach.